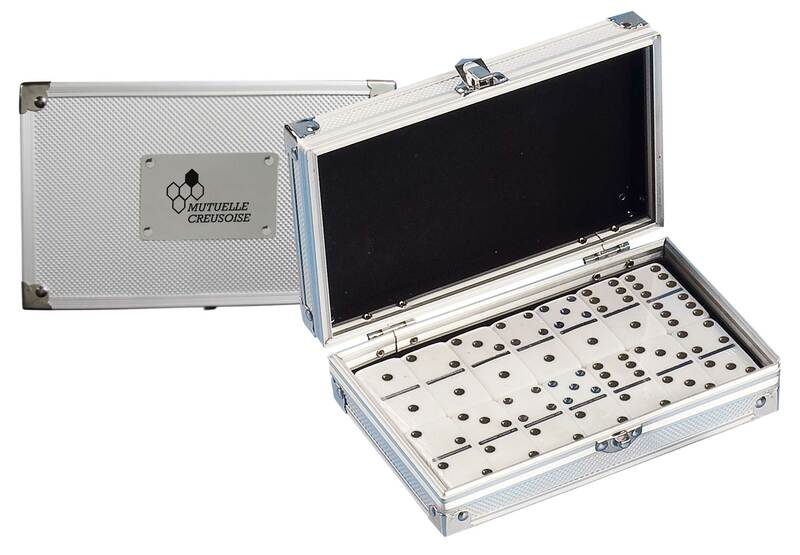 Professional Grade Executive Double 6 dominoes game set in Metal Case. Professional Grade Executive Double 6 dominoes game set in Metal Case. This domino set is a great executive gift. Metal plate 2 3/4" x 1 3/4". item size to 7 3/4" x 4 3/4" and add imprint area 2" x 1"